Rescuers were leaving Sansa food, it took several days to catch her. Sansa is available for adoption through MotorCity Greyhound Rescue in Michigan. For information, please contact Jennifer Valdez. 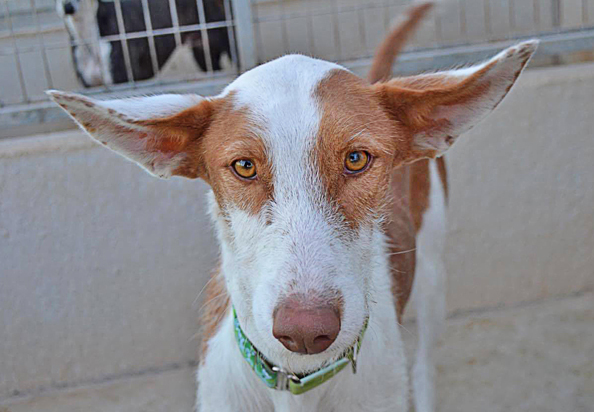 What a change in Sansa since she first came to GDS! She had been living very rough and was a challenge to catch. Initially very shy, she is now confident, loves walks and adores cuddles. She may be a bit skittish at first but you can see in the video that she comes around quickly. Sansa adores people and other dogs — she is ready for a home of her own!